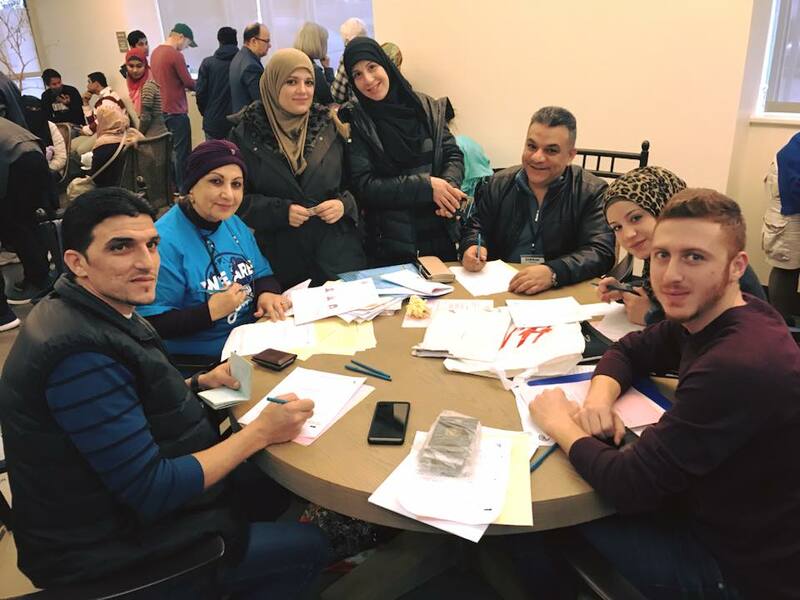 Volunteer attorneys and interpreters will come together with community leaders, politicians, law enforcement, and other community volunteers for the annual Refugee Adjustment Day on Saturday, May 12th. RAD is a community effort, not funded or supported by any one organization or individual. We rely on the support and solidarity of our volunteers and donors to make this a successful event. Butterfly Boxes organizes the community donations for this event, and we're glad to share how you can help. We're seeking donations of office supplies necessary to complete the legal paperwork and household goods and rain gear for refugee participants. Use our RAD Shopping List on Amazon. Donate cash to pay for supplies and food. RAD requires dedicated volunteers of all types - attorneys, medical professionals, food preparers, babysitters, photocopiers, and more. If you have a desire to help, there's a role for you! We'll also need volunteers the day before the event to help collect and organize donations for distribution. Sign up to volunteer now. Note: day-of volunteers will need to attend training on May 7th.